The South Asian country started looking for new warplanes in 2007, a contest that ended with the government selecting Dassault Aviation SA to buy 126 Rafale jets for $11 billion. The air force is seeking at least 100 planes in an order worth about $15 billion. 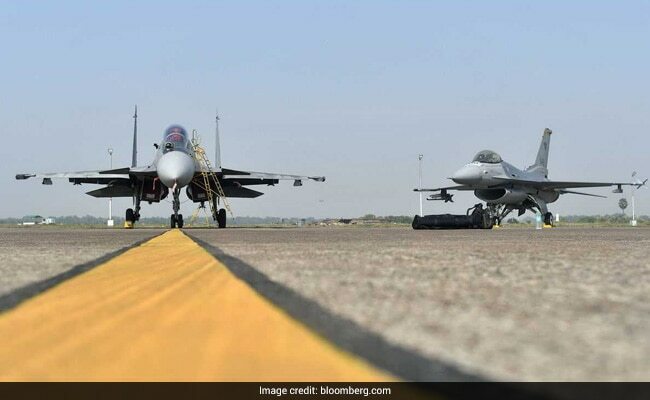 India is planning to revise the specifications for one of the world's biggest fighter jet orders, people familiar with the matter said, a move that would allow manufacturers such as Boeing Co. and United Aircraft Corp. to pitch their twin-engine combat aircraft. Prime Minister Narendra Modi's government has asked the Indian Air Force if the search for fighter jets could be expanded to include twin-engine aircraft after Lockheed Martin Corp. and Saab AB were the only ones left in the fray with single-engine products that met the earlier norms, the people said, asking not to be identified as the discussions are private. The South Asian country started looking for new warplanes in 2007, a contest that ended with the government selecting Dassault Aviation SA to buy 126 Rafale jets for $11 billion. With talks stalling over price and quality guarantees, the government subsequently scrapped the purchase and bought 36 jets separately to speed up the process. The proposal for the change is being discussed, and there has been no decision yet, the people said. Defense ministry spokeswoman Swaranashree Rao Rajashekar declined to comment. The nation's air force and navy require as many as 400 single-and double-engine combat aircraft, the government has said. The air force is seeking at least 100 planes in an order worth about $15 billion, while the order for the 57 naval planes could be worth about $10 billion, according to Jane's Information Services. Earlier, the Times of India newspaper, citing sources that it didn't identify, reported that the government had scrapped a plan to buy single-engine combat planes. In the original contest, Dassault defeated Boeing's F/A-18, Lockheed's F-16, United Aircraft Corp.'s MiG-35, Saab's Gripen and Eurofighter Typhoon. Acquiring new fighter planes is part of Prime Minister Modi's bid to modernize the country's aging military equipment with a $250 billion spending. But it has been bogged down by a defense procurement process which is known for delays, backtracking and a history of corruption, making it a sensitive, slow-going process. In the meantime, India's air force still relies on Soviet-era MiG-21s and Russian Sukhoi SU-30MKIs.